ICONIC WATERFRONT ESTATE HOME CUSTOM BUILT by Paul Huffstutler, owner-developer of Blue River Cove & Blue River Cove East! 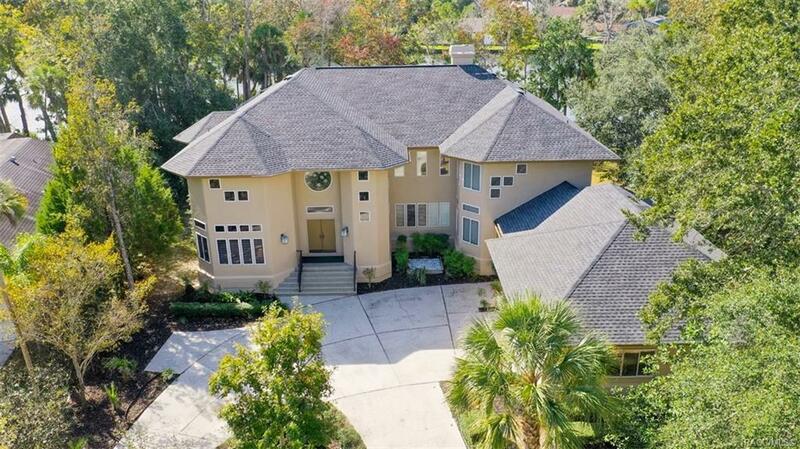 Fabulous view directly on the Homosassa River, architecturally stunning, towering ceilings, oak flooring on 1x12 insulated sub flooring! Cherry wood cabinetry in kitchen, master suite downstairs, magnificent views, study, fireplace, insulated windows, 3 car garage. Please view virtual tour to get a feel for the stunning features. Flood insurance only $713 - a truly exceptional home!